Episode 126 of the AFB Podcast is live at iTunes and is now available for direct download! Download and subscribe to the podcast at iTunes now! Join John and Scott for two great discussions with special guests this week! First off, Scott chats with Bill Murphy from Fresh Monkey Fiction about the exciting Amazing Heroes Kickstarter which is now live and gathering support. 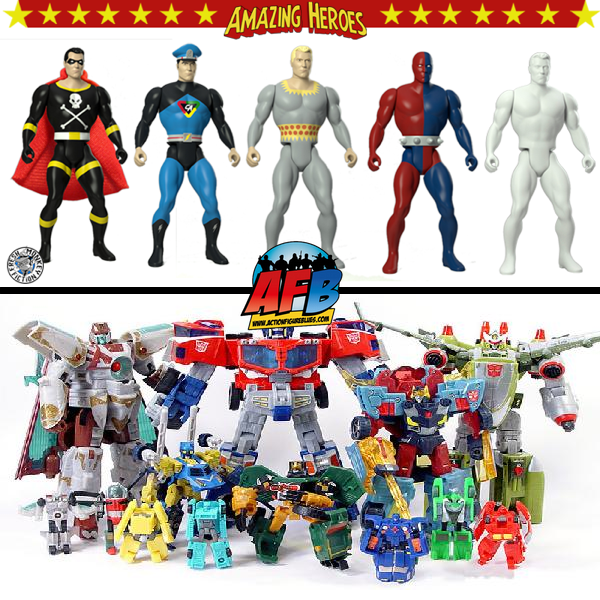 Then, John chats with our friend and listener Andy Bentley and Slick McFavorite from the Open Your Toys Podcast about the Transformers Toy Line, as we put it to the test in our ongoing Greatest Toyline Ever Series! If you don't use iTunes, you can download Episode 126 here now! Click on the link to listen, or right click to save the file! The podcast will always be available from the “Podcast” tab here - but if you can subscribe and give us positive ratings at iTunes, that will help us greatly!